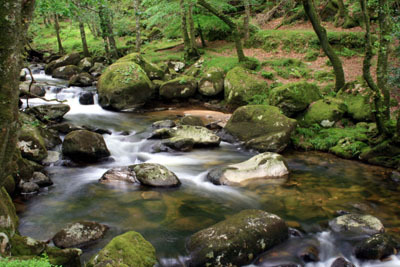 A view of the river Plym in the National Trust owned Dewerstone Woods, on the Southern edge of the moor. But love and duty called me on. The granite streams whispered their sweet oaths. Lifted me from my heart of pain filled streets. A poetry card is avaliable to buy of this image.